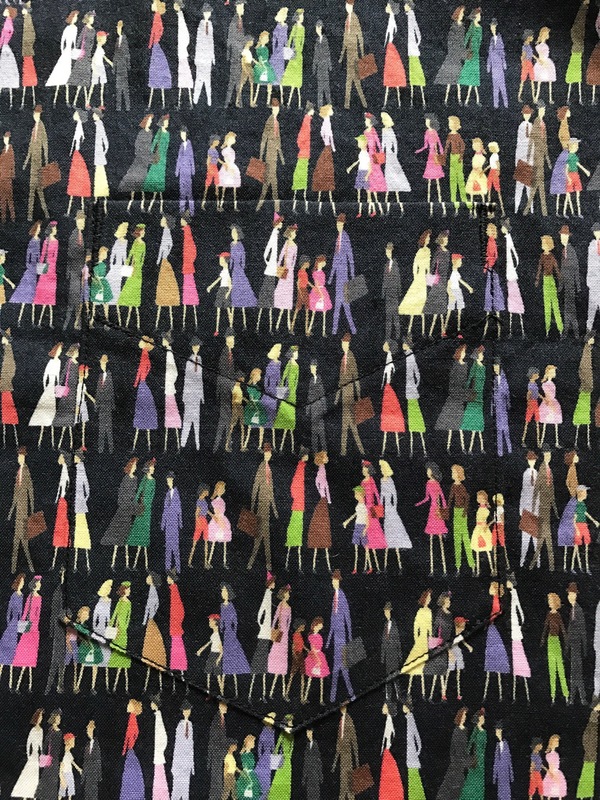 I’ve had this shirt fabric in my stash for a while now. I had a shopping expedition to The Village Habadashery some time ago. I’d seen the new premises on Instagram and, even though it was a bit of a hike for me, I thought I’d make the trip. It was the middle of February and although settled into the new premises, it was early days, before the official opening. The shop looked beautiful and had a great range of products; I went in for a bit of everything, fabric, scissors, needles, quilting supplies, thread… and everything I wanted was in stock. If you’re in the neighbourhood I highly recommend a visit. 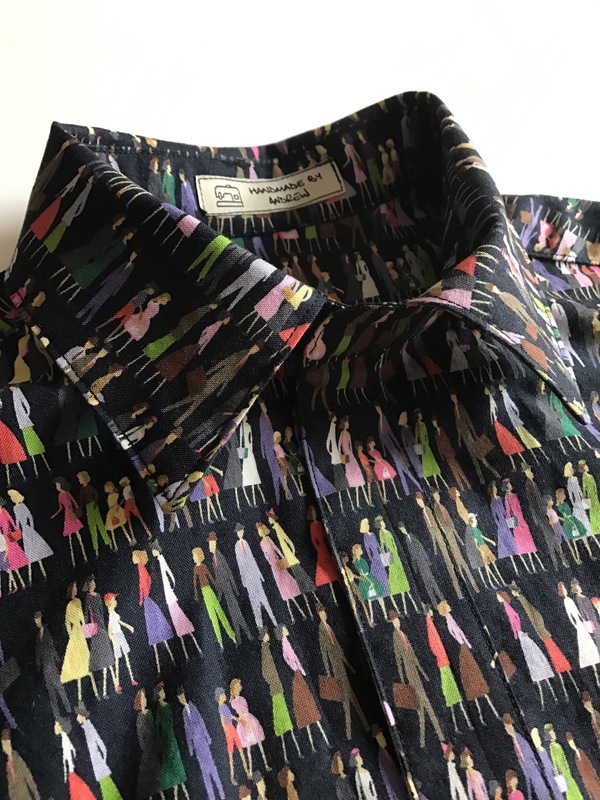 A while back I used the shirt pattern from the book The Gentlemans Wardrobe to make a new Holiday shirt. I loved the pattern and it was a great fit, so I decided to use the long sleeve version for this fabric. The collar went on smoothly using my trusted ‘million-pin-method’…! I even did pointy plackets…! 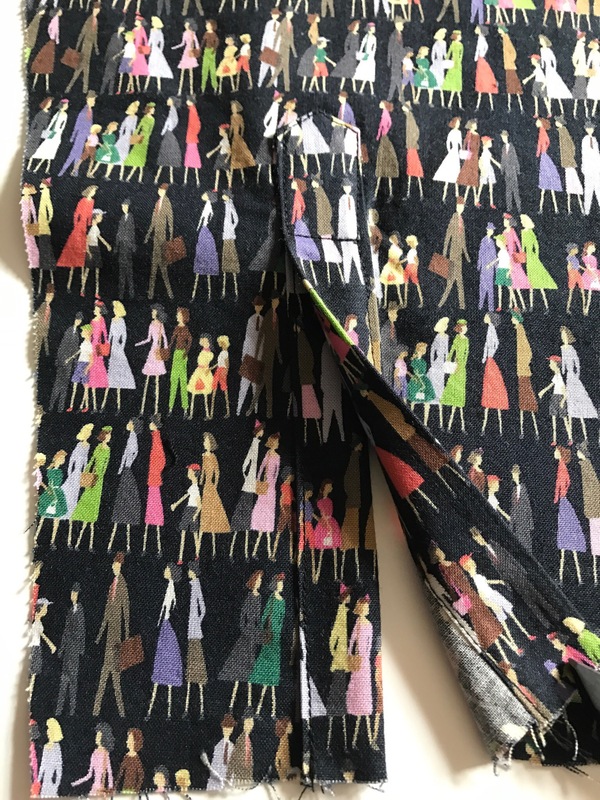 I hadn’t noticed when I bought the fabric (obviously blinded by the amazing pattern!) that it has just a tiny little bit of stretch to it. 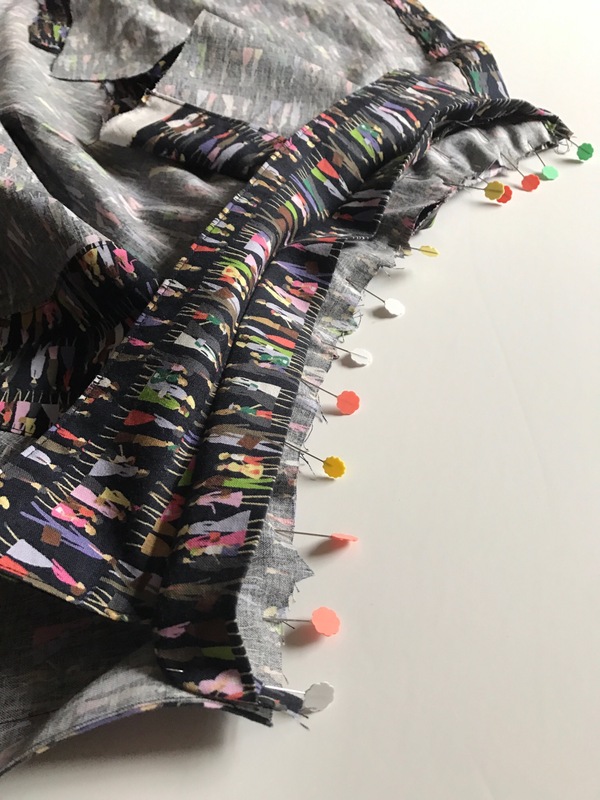 This was immediately apparent when I started cutting it out and I wasn’t sure how much I liked it at first… but once I’d started sewing with it, it was great. It didn’t move unnecessarily under the presser foot and easing the shoulders in was much easier. Also, of course, it’s made it a very comfortable shirt to wear! There isn’t usually a lot of stretch in men’s clothing (except sports wear) but I’m definitely going to look for a bit in my fabrics from now on! I’ve been wearing this shirt to work which isn’t strictly allowed as it’s not really black or white. But if I get hair colour stains on it, they won’t show up! I managed a quick photo shoot on a recent trip to the Isle of Wight, so this makes a nice change from my usual blurry close-ups! Tidy up your fabrics! Do you even know what you’ve got anymore…?! Nice handiwork there! Just perfection! I love the fabric. I love sorting and inventorying my fabric. It always brings me new ideas. That fabric is amazing. And the finished shirt looks beautiful. 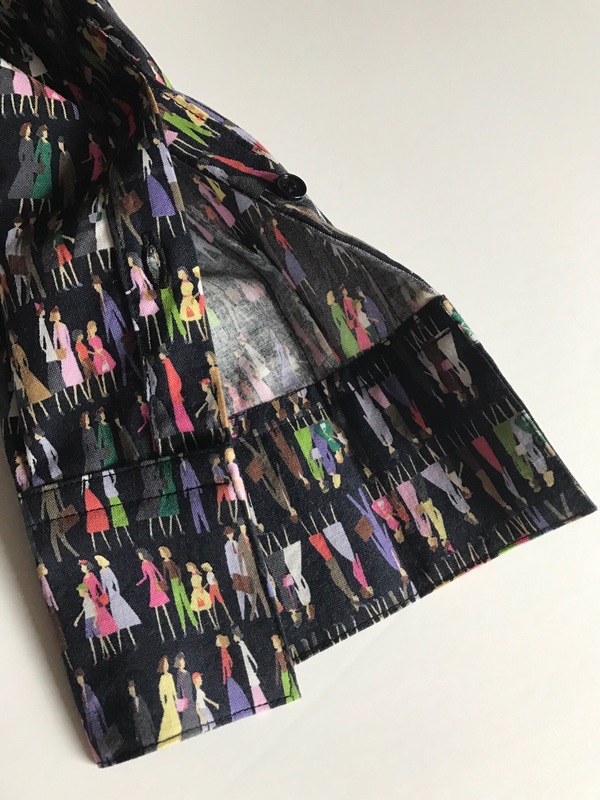 Love the print on the fabric and your pattern matching is incredible! Now THAT is a wonderful black shirt. Beautiful fabric and your attention to detail is amazing. Great job and it looks perfect on you. Gasping in amazement at that incredibly accurate pattern matching on the pocket ! What a fun print. I love that fabric and that pocket matching is RIDICULOUS. (In a good way). Bravo! It looks great!! Nice work. 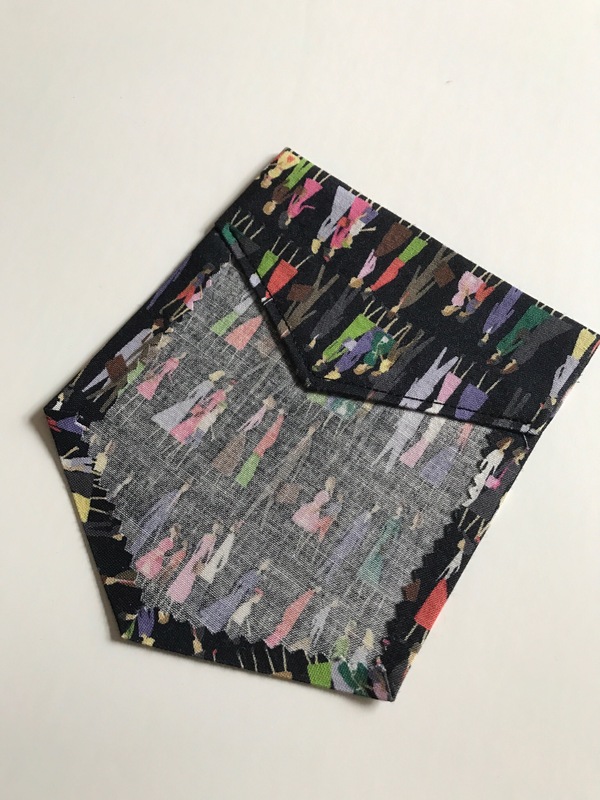 Especially the pocket – well matched! 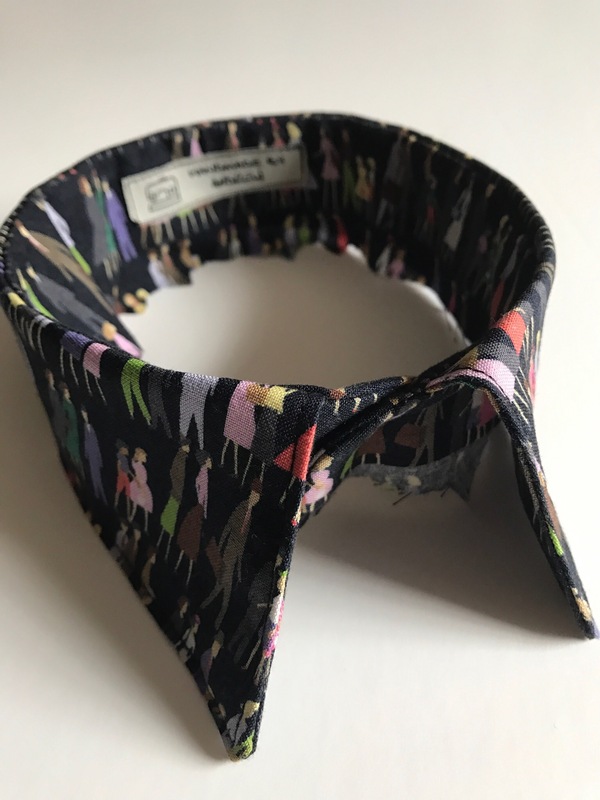 With patterned fabric like this I like to cut two shirts, one patterned and the other in a plain fabric the same colour as the patterned fabric’s bg colour; then swap pieces over, say collars or the back panel or something really subtle like plackets; then make up both shirts to give you a complementary pair. That reminds me, I bought two complementary fabrics about 20 years ago to do just that, and never got round to it. Doh! Fantastic shirt. The fabric is totally awesome, I hope it’s black enough for work! Because this is brilliant in so many ways. Beautifully made. Well done, you!